Two months after the launch of the 1st season of the Global Poker League (GPL) and almost a year after we’d initially announced it, GPL is finally revealing the first iteration of its signature arena – The Cube™. 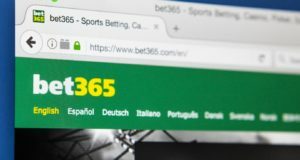 GPL’s ambition was to create a framework and platform to help promote the sport and game of poker via a new approach – fast paced, with a focus on digital tech & focused on creating the most engaging poker fan experiences possible. Taking a cue from the UFC’s ubiquitous “Octagon”, GPL wanted to build a portable, branded stage that would allow poker to have a new home and eventually be recognizable outside of its current form. 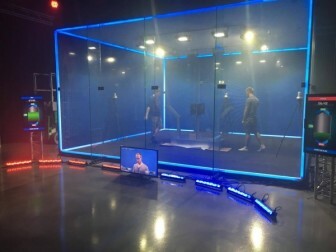 The Cube™ as one of its key elements – players will play standing up, in this soundproof one-way visible glass arena (fans can see in, but players can’t see out) to enable fans to see hole cards and game stats in real time during live poker games. It’s a new approach to the game. When MTV created a music-dedicated TV channel they were scoffed at initially – but eventually they were able to make a platform where artists could spread engaging content, push themselves as character and grow the pop music industry as a whole. GPL (without the eventual fall into bad reality TV 🙂 ) aims to innovate, disrupt and experiment with poker along these same lines – and in the process help aggregate the game’s 100 million+ poker fans – to create narratives and fan experiences that are much more than simply about what cards players hold. Inspired by the esports industry, GPL is building an integrated sports and entertainment marketing vehicle powered by the legitimacy and authority of poker’s ranking authority – the GPI. Weighing 20 tons in its largest form, The Cube™ is currently installed in GPL’s Las Vegas arena in its ‘small’ set-up – 20 feet wide x 20 feet wide x 12 feet tall. Staying true to its namesake – fully set-up it reaches 20 feet up into the air. Next innovations for The Cube™ in next 18 months are set to include : 3D Mapping Projection, Augmented Reality and Interactive LED Floors.